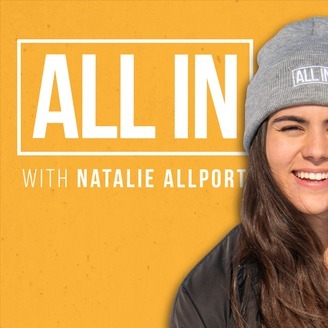 Natalie Allport is an entrepreneur, athlete, and former national team snowboarder. 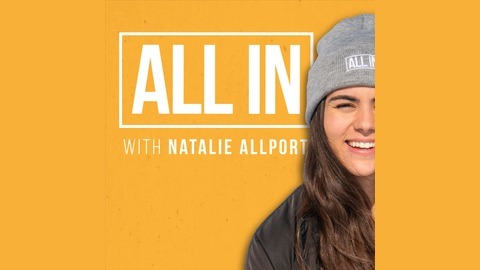 Years spent travelling the globe balancing athletic and business aspirations, Natalie knows what it means to be ‘All In.’ In All In, Natalie interviews top athletes, entrepreneurs, and influencers, with the goal of inspiring motivated individuals to take action in their own lives. Whether you’re into fitness, health, business, or general self-improvement and well-being, All In shares the stories of top performers so you can take away actionable tips, tactics, and tools to use to learn and grow in all aspects of your life.